In 1975, there was a need to cook a whole hog for our town’s fund raiser to save a local Landmark, Turner Hall. The unit we used didn’t work very well so we designed and built our own. From there three friends and neighbors started building the grills (Today’s Model 7240G and 7240C) in a building in Holstein, Iowa. 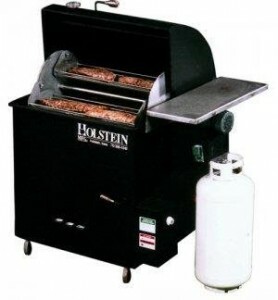 The first grill was sold in 1976. In 1978 a building was put up on our family farm, where the company operates from today. In the 70’s and 80’s, we were active with the Iowa Pork Producers and the Iowa Cattleman’s groups to promote the products we were producing. 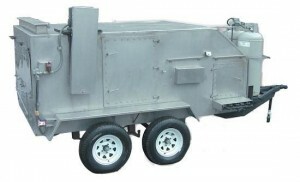 Our company is strongly based in the Agriculture Industry. Our company grew as we promoted our products at Fairs, International and National conventions and shows. The product line grew as the needs of our customers grew. Products like our Chicken and Rib Cookers, Deep Fat Fryer, and the Corn Roasters were all designed with our customers needs in mind. 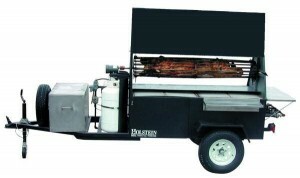 But out of the needs of our customers, both locally and nationally, we manufacture all kinds of animal feeding and handling equipment, wood stoves, stock trailers, 5th wheel trailers, concession trailers, dunk stands, HiLo trailers, motorcycle-snowmobile trailers, and even produced a Barbeque Sauce for awhile. 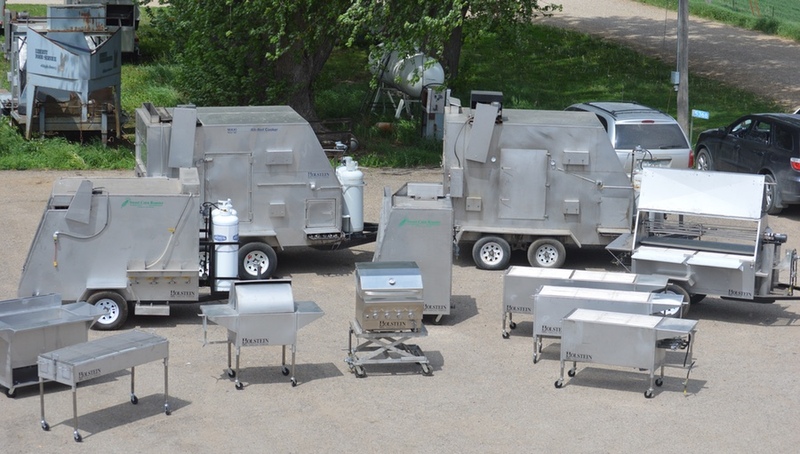 Today we take pride in our Stainless Steel products that have been NSF approved. Our products are built to last and to produce the highest quality in the food industry. We now can design and cut all of our parts and parts for other manufacturers with our laser. We have equipment in all fifty states and many countries such as: Australia, Canada, England, France, Germany, Iceland, Japan, Russia, and Saudi Arabia to just name a few. 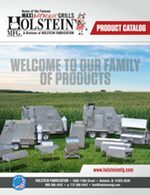 Holstein Manufacturing / Holstein Fabrication’s mission is to continue producing food related equipment for personal and commercial applications. We will continue to concentrate on metal applications that will help in food production, food consumption, agriculture, catering, restaurant, and personal uses. The development of ideas and products that will advance our company and mankind well into the 21st century.